American Agricultural Editors Association (AEAA) hosted a regional workshop on Friday, October 5, 2018, at CHS in Inver Grove Heights, MN. Megan Schossow attended, along with a diverse group of agricultural communicators predominantly from the Upper Midwest. The one-day workshop equipped communicators with resources and tools for communicating, understanding audiences, and engaging with new technology. University of Minnesota professor, writing coach, and author, Stephen Wilbers, led a morning session guiding more effective writing. Interactive exercises on editing, grammar, and word choice refreshed the audience on core writing principles, while teaching new concepts and correcting common mistakes. Afternoon breakout sessions focused on technology: understanding your audience through online listening tools, effectively using photography and videography, and a new technology demo featuring augmented reality. 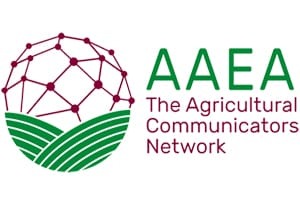 The AEAA Ag Communicators Regional Workshop provided a day of active learning, engagement, and connection for students and veteran-writers alike.